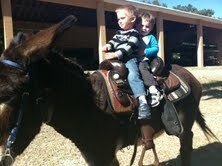 My boys love to ride donkeys, horses, and goats. Pretty much any animal that will let them. 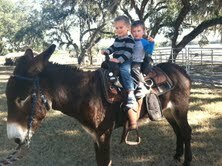 Here they are saddled up at my parents farm in Inverness. They could ride around like this for hours. I am careful to watch closely, because donkeys can be unpredictable. Just like 2 little boys trying to get along. My mother is the donkey expert. 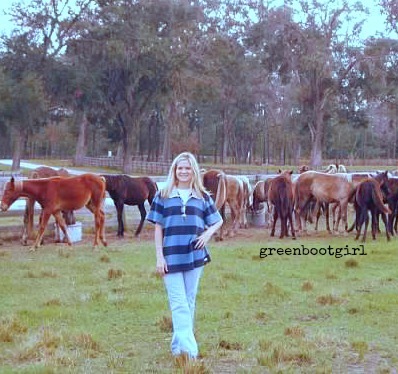 She has a few donkeys at the farm that she rides and pulls carriages with. They love her as much as she loves them. 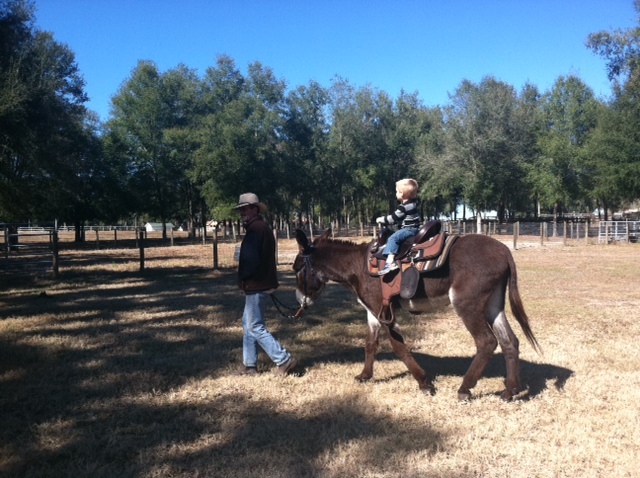 These boys are my little cowboys. When my 2 year is riding his personality totally changes. He goes from being in charge to quiet and reserved. I like seeing this softer concerned side. Animals have a nice way of calming down my high energy boys. This donkey is Willy.